For 30 years we have been selling and servicing draft beer, liquor control and soda systems in the greater Southeast Michigan area. 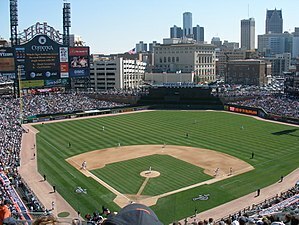 Large customers like Comerica Park (Sportservice) and pubs like Moose Winooski's (Clawson) both get the same fast, high quality on budget service. It is very challenging for any small business to survive in this competitive climate. We not only survive, we continue to expand our business every year; one satisfied customer at a time. New restaurants and bars are opening every month and we are there helping to install Draft Beer, Liquor Control & Soda Systems on time and budget. Our business is customer satisfaction and we make sure we never lose sight of that. You'll find us behind the scenes keeping your beverages flowing at most of the major sports arenas, stadiums and bars in Southeast Michigan.